The new COO at Tieman Barry Greig. 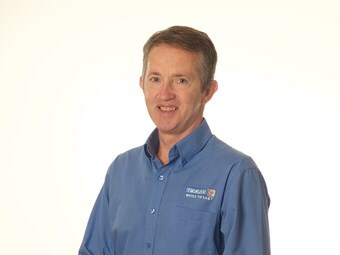 Tieman Tankers has appointed Barry Greig to the role of new chief operating officer. "Barry leads a management team focused on building quality tankers that offer the best value," the company states. "He has extensive experience in sectors of manufacturing, export, renewable energy and construction. "While there have been some difficult times during 2015, Tieman Tankers business has established a solid foundation for future success and will continue to focus on industry changing innovations." Tieman Tankers has also launched a renewed logo and new website that "highlights the new era of business moving forward". The company says Greig had been "instrumental" in Tieman's restructure last year. Tieman Industries was placed into voluntary administration in August last year before a massive restructure saw the founding family buy back its flagship tanker business. Since the restructure, the trailer manufacturer operates from its manufacturing and service site in Campbellfield, Melbourne.